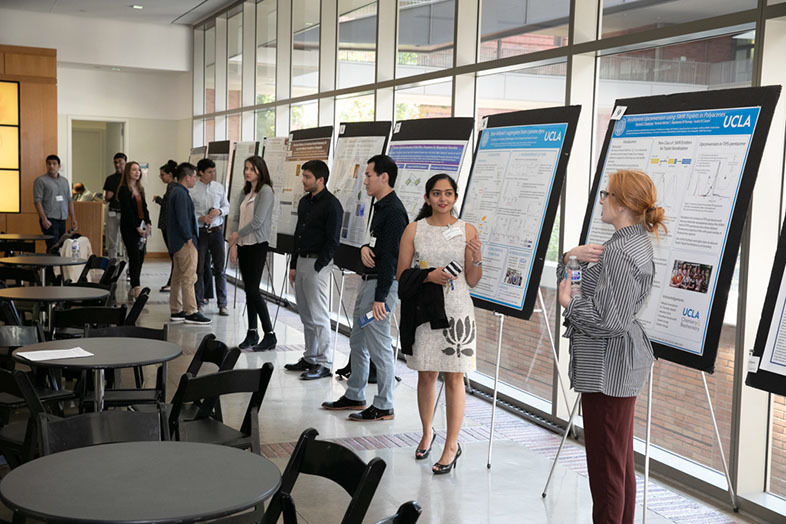 04/22/2019 Congratulations to Anu Deshmukh for winning the Excellence in Second Year Academics and Research from UCLA Chemistry Department. Anu Deshmukh, and Hannah Friedman present their research at Southern California Inorganic Photochemistry Symposium. 02/25/2019 Hannah participating in an outreach program with CNSI, spreading the joy of science! 02/08/2019 Congratulations to our very own Stephanie for being awarded the Irving and Jean Stone Graduate Fellowship! 02/07/2019 Went to celebrate Danielle’s last day with some ice cream! 02/07/2019 Percy joining us for sub group meeting! 02/02/2019 Saying goodbye to one of our amazing undergrads, Danielle Koppel, before she leaves to study abroad in New Zealand. Good luck, DK! 12/17/2018 Celebrating the end of the quarter with some beer and bowling! 11/10/2018 Some lab members presented posters at the Seaborg Symposium. In the photo is Justin with Danielle. Other presenters were Hannah, Anu, and Tim. 8/6/2018 Building some cabinets for the lab space, now we’re organized! 6/8/2018 Moved into our new lab space! Come visit YH4086! 6/1/2018 Welcome Jimmy Kim, a high school student joining us for the summer from the Peddie School. Jimmy will work on instrument development and programming. 5/14/2018 Welcome Victoria Vilchez, visiting student from ESPCI. Victoria will be working with us on nanocrystal synthesis and spectroscopy! 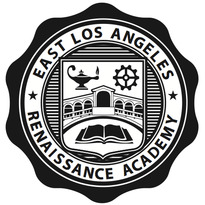 4/25/2018 Visiting high school students at East Los Angeles Renaissance Academy (ELARA) to tell them about being a chemistry professor at UCLA. Met a few future Bruins! 3/7/2018 The Caram group attends the APS meeting. 2/12/2018 Undergraduates Danielle Koppel, Danielle Cadena, and Mikayla Sonnleitner have received summer research fellowships! 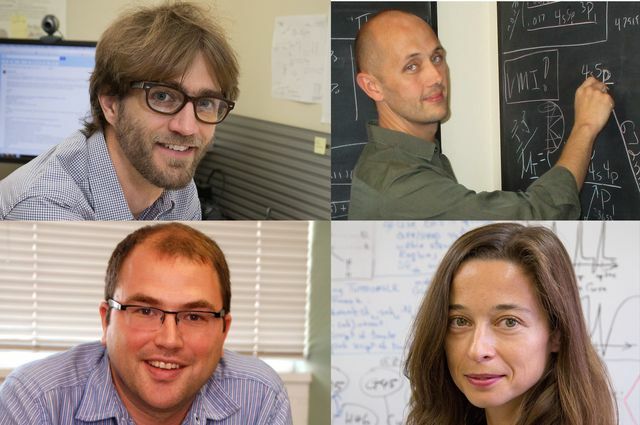 They will work with us on a range of projects, from designing new quantum dots to computing spectral properties of molecular aggregates. 1/10/2018 Danielle Cadena is a recipient of research support from the Undergraduate Research Fellowship Program (URFP) She will be working with us on making growing new aggregates and crystals! Congrats Danielle! 11/22/2017 Work from Justin’s postdoctoral research was recently published in Nano Letters! Congratulations Francesca and coworkers! 11/7/2017- Justin is now a member of the California Nanosystems Institute (CNSI)! We look forward to working in the institute on imaging questions. 11/5/2017 – Caram group members participate in UCLA’s Explore your universe event, showing off the absorption and emission of everyday items. 10/2/2017 – Justin presents/conducts research at the European Laboratory for Non-Linear Spectroscopy. We would like to thank the LASERLAB Europe for their support, and look forward to continued collaboration! 9/1/2017 – The Caram Group is excited to welcome Dr. Timothy Atallah as a postdoctoral researcher. Tim joins us from Columbia University, where he did his PhD under Professor X-. Y-. Zhu. 8/15/2017 – Maly Cosco (graduate student in Sletten group) has published her paper “Flavylium polymethine fluorophores for imaging in the near- and shortwave infrared.” Justin contributed imaging and spectroscopy expertise. Congrats Maly! 7/5/2017 – Lab opens! We are excited to welcome Graduate Students Anu Deshmukh and Hannah Friedman and undergraduate Danielle Koppel as student researchers!